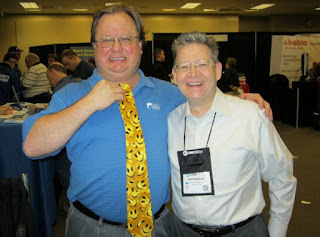 Join Harry Brelsford and Me for a mid-year discussion of the SMB IT industry. This content-rich 60-minute analyst webinar focused on the mid-year “State of the Union” for MSPs, partners, consultants and resellers. Discover what business approaches were trending in the first six months. What numerous surveys are tracking and how you can leverage the finding to make more money. A focus on what industry vendors are doing and how partner programs are changing dramatically in 2016. And of course the normal gossip of who’s in and who’s out. Looking forward, Harry and I will issue some predictions for the rest of 2016 and offer up a set of best practices. Ample time for audience Q & A. Class Schedule Change - and an Amazing 4-course Deal! We changed the class schedule a bit at Great Little Seminar. So if you're interested in any of our 5-Week courses, please visit www.GreatLittleSeminar.com. All four remaining courses for only $799! Save almost $200 when you enroll in the last four courses of the year at Great Little Seminar. Buy the bundle now for only $799! That's 20 hours of education - plus massive amounts of handouts and downloads - for only $799. This collection of courses includes all of our best instructors and the most popular courses we offer. The regular price for the four is $996. All courses are recorded - So even if you miss one or two, you can easily catch up. We have a great class coming up next week: Project Management in Small Business. This 5-week course is based on the methodology in our book. In fact, tuition includes a copy of the book and all associated forms - plus lot of other handouts. All classes are one hour long and are recorded in both webinar and audio formats. Just posted a video on the ten steps we take to hire a new technician. Or almost anyone, really. Of course I go into some detail here. You might not use this exact process, but you should have SOME process. If you don't define it now, you'll just fumble around when it's time to hire someone. Our experience is that when we follow the process we get good employees. When we don't follow the process, we don't get good employees. Define a process that makes sense for your business! Please subscribe to my SOP YouTube Channel! 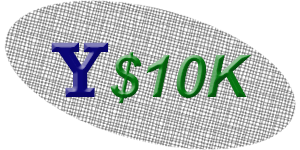 Reminder: I've set up a page to index the Y$10K blog articles. You can find it at http://www.smallbizthoughts.com/events/Y$10K/. Articles are listed in the order written, so you can start at the top and work your way down if you want to catch up. I hope you've got at least a little money in the stock market by now. See my "Quick Primer on Investing" blog post. If you haven't started yet, you can get going right now. See also the post on buying advice within your stock account. Again: Standard disclaimer. I'm not a financial planner. Blah blah blah. 1) On any given day, any given stock (or the market as a whole) can go down 10% or 20% or 30%. 2) The stock market eventually always goes up. 3) Don't track your stocks too closely. 4) Do not start "playing" the market. These are extremely important when the market goes down. They will allow you to "keep your head" - and your money! How do I know that? Simple: A correction is always coming. I personally suspect that we will see a correction before the November Presidential election in the U.S. due to the rise of uncertainty. But I could be 100% wrong. The correction might come in December, or in 2017 or 2019 or 2025. Realistically, we will probably see a correction sooner rather than later. Why? Primarily because the market is at all-time high levels. The market has a tendency to "test" itself. Is this a bubble? Are these high prices based on reality, or on empty optimism? No one knows for sure until something triggers a sell-off. Remember: The market as a whole is a large fiction. We believe Amazon stock is worth $750 or $800 per share because a lot of people are willing to pay that. If tomorrow people are only willing to pay $500/share, then that's what it's worth. We like to think a stock price is related to estimated future earnings, but sometimes it's just not. So here's what happens: Some event or news triggers nervousness and stocks begin to sell. Why? Well, with the market above 18,000 they want to lock in their gains by converting to cash. Once enough people sell a stock, the price drops. More people sell now, worried that they'll lose money, and the price goes down more and more. That's why you can't panic. Most of the time, corrections such as this are tests. After a day or two, these stocks are simply considered "on sale" and people begin buying them again. After all, if I think Amazon is really worth $800, then I'm going to buy all I can at $500, $600, and $700. So now buyers rush back in, driving prices back up. 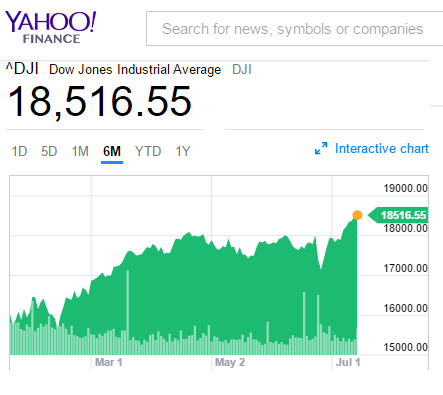 If you invested in a stock market fund that follows the DOW when I posted my blog in January, you bought the market at about $15,700. Today it's at $18,500. That's an increase of about 18%. Let's put that in perspective. If you are hoping to gain 10% on your investment this year, you would expect about 5% every six months (without any compounding). So you might expect your investment to be at about $16,500 right now. If there's a correction and the market drops ten percent from it's current price of $18,500 it will go down to $16,650. You'll still be ahead of where you thought you'd be! If there's a correction and the market drops twenty percent from it's current price of $18,500 it will go down to $14,800. You'll be down from your purchase price. But you'll still have half the year ahead of you. Remember the rules from above. Markets go up and down. But they always go up in the long run! So don't panic and don't sell when the correction comes. Here's the simple formula that allows you to ignore your stock portfolio when a correction happens: Don't put money in stocks if you're going to need it in the next 1-2 years. Really. That's it. Once you get enough money invested, a Certified Financial Planner will help you create a tiered approach to investing. So you'll have investments you expect to need in five years, ten years, twenty years, etc. From time to time, money will need to be moved from one tier to the next. Longer-term investments can be riskier because you have a longer time to recover. That means they have greater growth potential. So if all the money in your stock investments is money you won't need for three years, you can sleep soundly at night when the market drops suddenly and recovers slowly. Remember I said that a correction is a test to see whether the market it too high? Well it's also a test to see how solid the "floor" is underneath the market. The market might drop down and then climb a little, then drop down more and climb more. It will do this three or four times because investors feel confident that it just won't go down any more. When that process is finished, it's literally like a climber who is convinced that his foothold is solid and he can begin climbing confidently again. Very often in this scenario, the climb can be very steep. So the reward for simply ignoring your investment is that it bounces up very well after the bottom of the market has been thoroughly tested. Just a few quick words about treating the stock market like a game: Don't. In all that up-and-down activity during a period of correction, testing, and renewed growth, some stocks will stay down for a long time. I remember when Xerox stock dropped dramatically in the mid-1990s and didn't recover for a decade. So individual stocks are pretty dicey for small investors. You might be the smartest person you know about money and stocks. But if you're reading this, I assume you're not a financial planner. So there's no way you're going to out-smart the market. Most financial planners can't, and they do it for a living. By the time you figure out what the trend is, the professionals have either safe-guarded all their money or made big gains. You see the result of that and follow suit. Making the "right" move one step too late will always leave you chasing the best informed investors. So don't try. That's just my opinion. Final note: If there's a big correction between now and November, you may point to me and say I'm a genius. Or Google "Is a stock market correction near?" and say that I was stating common sense. If the correction doesn't come, then look for one in the six months after that. Or the six months after that. It has to happen eventually. Whenever it does, you can say I predicted it. When do you Nuke and Pave? What are the factors to consider? And most importantly, how does this policy affect your profitability? A few factors to consider are the skills of the technician, the cost to the client, and the promises you've made in your contracts. Some problems are simply not fixable - but 99% are. Some problems are just too expensive to fix. But you have to figure out what "too expensive" means to you and the client. The chakras are the energy centers for your managed service business. Through them flow the vital energies that keep your business healthy and profitable. You must put your attention on each of these in turn so you can maintain a happy, healthy, and vibrant business. The Root Chakra is at the base of your business. It includes the fundamental understanding between you, your clients, and your employees. It is manifest in the trust you all feel within your relationships. It is visible in your service contracts, spoken words, agreements to serve and to be paid fairly. This is also the core of your promise to take care of the client by taking care of their network. The Sacral Chakra is the center of your creativity. It represents your commitments to new technologies and techniques. It is manifest in your commitments to learning, training, and sharing the knowledge you have about how things should be done and how service should be delivered. The Solar Chakra represents wisdom and power. This is the home of your commitment to monitoring client systems, establishing alerts, and a constant awareness of their system health. This is also the source of your enlightened preventive maintenance, as opposed to a baser practice of waiting until things break and a client is in pain before you provide assistance. The Heart Chakra represents loving and healing. It is manifest in your patch management, monthly maintenance procedures, backups, and constant testing. 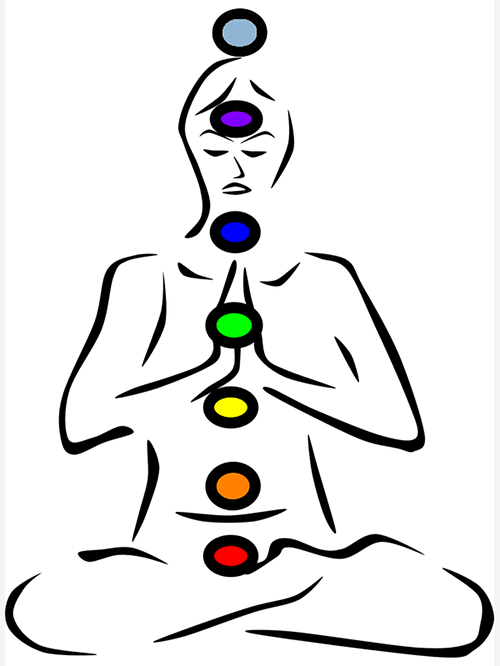 All the actions you take to systematically improve the health of client networks spring from this chakra. The Throat Chakra represents communication, both within your company and between your company and your clients. This communication has many facets. At the most formal level, it is manifest in your Service Board, your ticketing system, your standard operating procedures and email templates. At a more informal level it is seen in your meetings, phone calls, emails, and personal interactions. Good communications make relationship flow in a positive direction. The Third Eye Chakra represents awareness. This is the "big picture" view you take of client relationships, the long-term plan for your company, and the long-term planning of your client's network infrastructure. It is manifest in quarterly business reviews (road map meetings). The ultimate manifestation occurs when client sincerely see you as part of their team and a vital piece of their success. When you achieve that, you are no longer an outsider providing help on a temporary basis. Many companies never achieve this level of awareness. The Crown Chakra represents your guiding philosophies about business. These include a commitment to quality service, a commitment to working with good people, a commitment to good employee management, and a commitment to positive culture. An efficient and profitable business is a wonderful thing, and made even more valuable by the daily opportunity to work with clients, employees, and vendors who respect and enjoy each other. It is a simple but powerful framework. Success in balancing these elements requires constant vigilance. Some days are more successful than others. But you get to start over every day! My latest video is a sample presentation. The core presentation is thirty minutes. There is a quick introduction at the beginning and note at the end for technology professionals. The middle section is exactly what I present to clients. Please "Like" this and share it with other technology professionals. I have zipped up the PowerPoint presentation in both PPTX and PDF formats at http://smallbizthoughts.com/events/Palachuk-SafeComputing.zip. Feel free to download that file. You can edit the PowerPoint and customize as you see fit. Please enjoy the video . . . and I appreciate any feedback you have. Steven sent me a question: "How do you recommend training your clients to use the ticketing system versus just picking up the phone?" Great question. If you've been reading for long, you know that I don't answer my phone and recommend you don't either. I also don't want clients sending me email, text messages, or tweets to get service. Our preferred method is that clients use our ticketing system. There are three things we do to encourage/enforce this. First, we train clients on our expectations. When clients sign up with our service - and from time to time thereafter - we give them a handout that describes how to enter a service ticket. See the illustration. We use the MAX Service Desk, but every system we've used has had a similar system. We have set it up so that it's very clear what to do: Click - Submit Ticket. We also have a support email address that creates a ticket. Some clients love that. But see the note below. You need to enforce this. 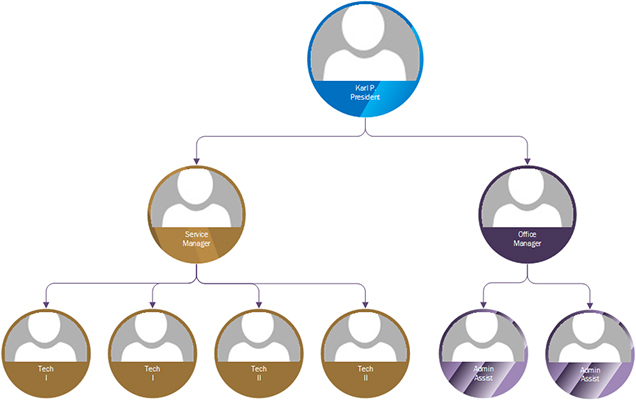 We also give clients a description of what High, Medium, and Low priority tickets mean so they can decide which to use. And we encourage them to give meaningful titles to their tickets. "Larry's Computer" is not useful. "Larry can't access the public calendars" is useful. Second, respond right away. The reason some clients don't like a ticketing system is that they don't feel heard. On the phone or with a quick email response they can feel that their request is getting some attention - even if it's not. So we've set the Service Desk to send us an email when a new ticket is entered. I then forward this ticket to the client with enough of a response that they know I got it. Some clients complain that they don't think the ticketing system is working because they didn't get a human response. Sometimes they don't even notice that their system has already been fixed! But it doesn't matter. They need this communication piece so they get a sense that the system works. After you do this quick turn-around response a few times, then they believe. Third, you have to be willing to enforce your process. Don't respond to emails sent as service requests. Instead, enter a ticket and be sure it's sent to notify the user. They'll see that you entered a ticket. Phones are the same way. Your voicemail prompt should say, "For fastest service, please submit a ticket through our service desk or email support@company.com." Do not respond to direct emails. 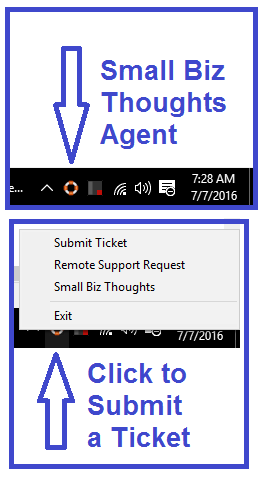 Instead, create a ticket and make sure they are notified. BUT don't do it immediately. If you get a direct email instead of an email to support@, you need to wait at least 30 minutes before you enter that ticket. NOTE: This is much easier if you keep Outlook closed instead of open. That way you legitimately will not be interrupted by new email. Check your email once an hour and create tickets for clients who need it. If you have someone who answers the phone, they are authorized to create tickets for clients. But they should not work the ticket right away! In fact, the best person to answer the phone is a non-technical person. When the client starts into a description of their problem, the appropriate response is, "Would you like to create a ticket for that or would you like me to?" Also, this person needs to make clear that the ticket will be worked "soon" but that all tickets are sorted from highest to lowest priority and from oldest to newest. This person should also ask the question, "How urgent is this?" You'll be amazed at how often clients will say that it's not urgent at all. But it does need to be fixed. All these rules exist for a reason. It's not to be arbitrary. And your clients need to understand this. With managed service, most problems are prevented. So you're no longer running around putting out fires. To be honest, virtually all problems are caused by clients doing things they shouldn't. So they're pretty understanding. Also, when you talk to clients about these processes, 99% of them will say Okay. That's because they're reasonable people and these are reasonable processes. WE have decided for years that clients expect instant response no matter how small the problem is. In the past clients called because that's what we taught them to do. Now we need to teach them something else. 1) All work must be done from a service ticket. That means the ticket has to exist before work can begin. 2) All tickets are worked from highest to lowest priority and from oldest to newest priority. So oldest to newst Priority One; oldest to newest Priorty Two, etc. 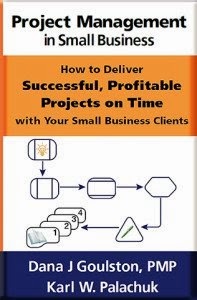 3) You must track all of your time in order to verify the profitability of clients and contracts. 4) You should not have a system based on constant interruptions. The service board exists to help you create order and avoid chaos. Use it! 5) You have a duty to run a profitable business. Over-serving clients who didn't ask for it and don't pay for it is not a good strategy. "The system" is designed to maximize client support and make money. That's a beautiful combination. I received an announcement from my friend/mentor Josh Peterson over at Bering McKinley. 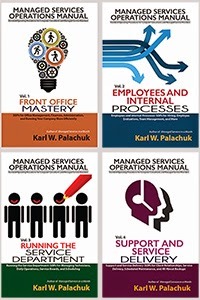 They awesome Service Fundamentals Workshop will be held live in Chicago at the end of this month. I am extremely happy to announce that we've posted an awesome presentation by Mr. John Armato. He makes the case that true creativity consists of working through a process based on what you know and what you think. It is not a magical art. And he should know! John is a Senior Partner and Creative Strategist with Fleishman-Hillard, one of the largest public relations companies in the world. 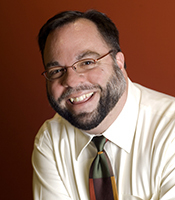 Known as a creative thinker, passionate presenter, and insightful facilitator, John Armato helps set strategy, shape messages, and develop programs to inspire people, sell products, solve problems, promote causes, and avert crises. In this presentation, John examines what an idea is, and how ideas are related to one another. "Creativity" then consists of seeing existing things in new and interesting ways. He talks about how we can build relationships between various ideas around us. So you see, you cannot simply sit people in a room and command them to practice "out of the box" thinking. But fear not! He does give a great framework for teasing out new insights from the knowledge you (and your team) already possess. Think Inside the Box - Only $19.95 at SMBBooks.com! He has won dozens of awards and worked with more than 100 clients, including Hallmark, H & R Block, Visa, E. & J. Gallo Winery, the United States Interagency Council on Homelessness, the Egyptian Tourism Authority, and the University of Oregon. 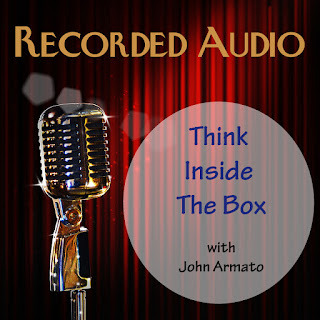 John is in demand to lead “big idea” sessions and to coach others on the creative process. 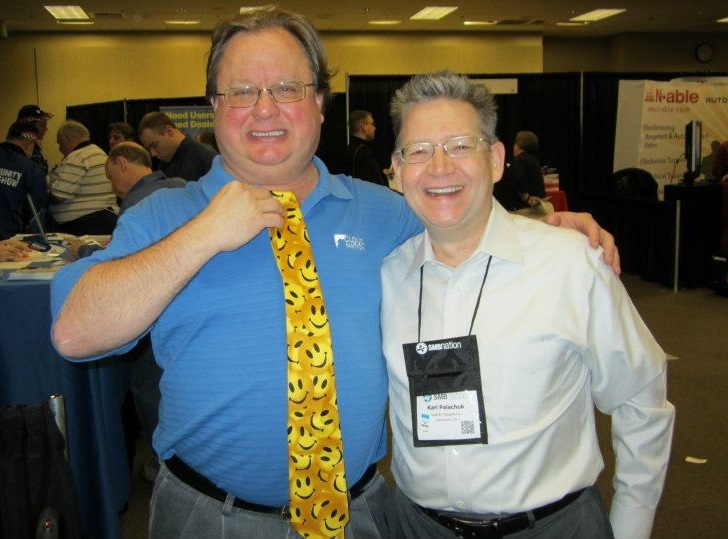 He has been called “one of the most accomplished presenters in his field” and his keynotes have been featured at clients, colleges, and conferences around the country. Armato brings 17 years at the agency, 26 years in communications, and a lifetime of creative pursuits as a musician, graphic designer, and writer to his blog titled “Think Inside The Box,” where he writes about the creative process, communications, and living a life of ideas. 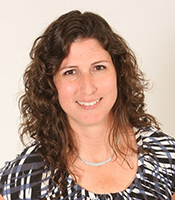 Rayanne is an accountant, and Enrolled Agent, and a long-time Managed Service Provider. That's a killer combo, which makes her a wiz when it comes to understanding the finances that make your managed service business go! I love the line, "If you're not making a 10% profit, you are wasting your time." That's an example of the honesty and wisdom you'll here in this 2-hour program. Rayanne provides a great education here without requiring you to be an accountant. She goes through the three most important reports you need to run. And she explains them without requiring you to have a degree in accounting. She uses a consistent set of examples so you can easily follow along and see how you would do the same thing with your company. Among other things, Rayanne explains the most important things you need to know about . . . Originally recorded as part of the SMB Online Conference. 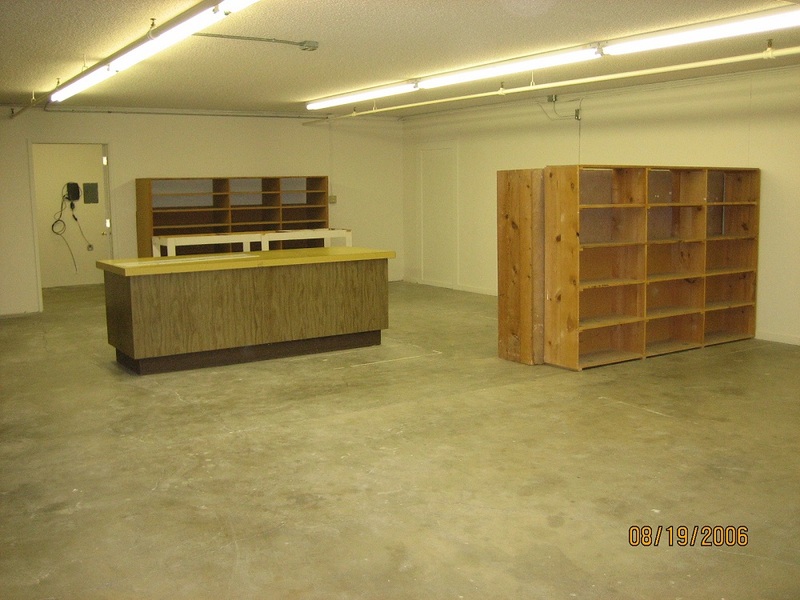 There's always new stuff posted at SMB Books! Here are three new FREE downloads for you. All were originally recorded as part of the SMB Online Conference. 1. Organizing for Success: Organize or Die! In almost every human endeavor, #1 is far ahead of the competition. Consistency leads to success. In some sense, consistency causes success. "The essence of sustainable competitive advantage is: 1) The obvious; 2) The little things; 3) The accumulation of little things over the years."